I love blogging, y'all. It's been an amazing journey, and I wouldn't give it up for anything. Since I started in 2013, I've gone through plenty of trial and error (and still am!) trying to figure out what works best for me and my blog. Here are my current favorite tools and resources that help me be a better and more efficient blogger. 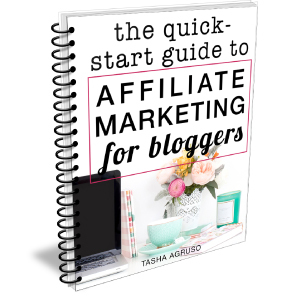 I have included affiliate links for your convenience. See my full disclosure policy. 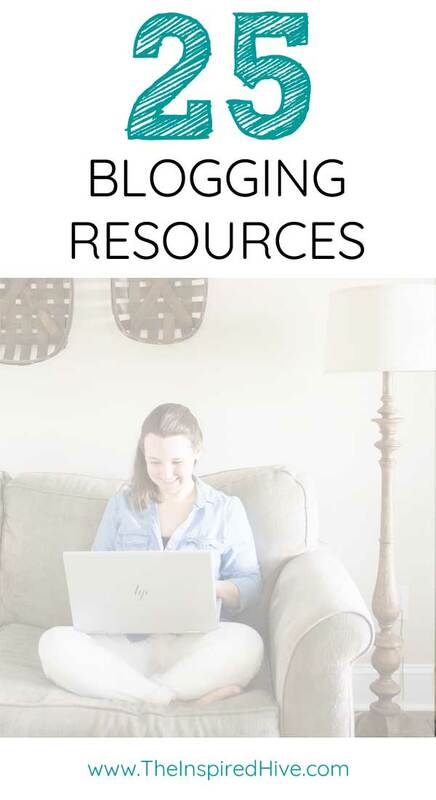 If you're just starting out, or even you've been blogging for a while, and are looking for resources to help you grow, I am a huge fan of the Genius Bloggers Toolkit! It's a once a year flash sale that includes courses, e-books, planners, and more on everything from starting a blog, to planning content, to managing social media... everything I wish I had known when I started blogging! If you've had your eye on a course or e-book, it's worth waiting to see if it's in this annual toolkit! I've bought it the past two years and love it. I'm happy to tell you more about my experience if you're on the fence. Just shoot me an email! Sign up to be notified of the next flash sale here! 5 Day to a Successful Blog Launch from Your Blogging University is also a great source for giving your idea a quick kick start. They also have a ton of other affordable courses as you go through your first year of blogging. I'm completely convinced you can be a successful blogger on Blogger (Blogspot). There are many rumors about blogging on Blogger that just aren't true (Kim Six debunks the rumors here), and there are many HUGE bloggers that blog on Blogger! There are a few things I recommend to make blogging on Blogger more successful. Domain name - If you choose to host your blog on Blogger, I highly recommend you buy a domain name instead of using the typical Blogspot subdomain. GoDaddy typically offers the first year at only $0.99! Template - If you are on Blogger, I also recommend using a template that is not easily recognized as a Blogger template. There are plenty of affordable, easy to install templates found on Etsy. Or try searching Google or Pinterest for tutorials on customizing a template yourself! Creative Market is a great source for social media graphic templates, media kits, and more. Etsy is also a great source for media kits. Tailwind - This scheduler has been amazing for Pinterest. It is approved for use under Pinterest's API and it comes with in depth analytics that are useful for evaluating individual pins and group board performance. They also recently came out with Instagram functionality which I have loved so far! SmarterQueue - I recently switched from using a combination of CoSchedule and Buffer for Twitter to using SmarterQueue. I really wanted to get away from using CoSchedule because not being a WordPress user limits its functionality. I wanted to find something similar to Meet Edgar, which I have heard great things about but can't currently justify the price for. After doing tons of research and a lot of free trials, I settled on SmarterQueue. Its fairly new, but it's awesome! Basically you bulk upload all of your posts using a spreadsheet, set categories for each post, and then set the days/times you want each category to post to your social media profiles (Facebook, Twitter, Instagram). SmarterQueue then cycles through your content and then starts over when it reaches the end of your queue! Set it and forget it! It's definitely my new favorite tool! You can use my referral link to extend your free trial from 14 days to 30 days! *Note- I have taken a lot of courses and have read a lot of e-books about blogging. I only recommend the ones I think you will actually gain value from. Shoot Fly Shoot- A great place to learn how to shoot with a DSLR camera. They break it down in an understandable way at a super reasonable price. Adobe Photoshop Elements- The perfect combination of Photoshop and Lightroom for editing photos and making graphics. Once you get the hang of using it, it can really speed up your photo editing process! PicMonkey- A great tool for editing photos if you're a beginner or on a budget. It includes many fonts and templates plus powerful editing tools.